After a seven-year absence from music, Justin Timberlake’s ‘The 20/20 Experience’ will be released on Tuesday, March 19. Here’s a track-by-track review of JT’s third album. 1. Pusher Love Girl – JT’s soul influences come out in force here – think early Prince and The Isley Brothers. It’s a valiant, groovy effort, but it ultimately falls flat. 2. Suit & Tie – If you can get past the excruciating first 45 seconds, when that beat finally kicks in and JT’s sultry falsetto glides over the breezy percussion and gets comfortable, I dare you not to shake your hips. Even a little. 3. Don’t Hold The Wall – For a song that urges us to “Dance – don’t hold the wall,” I kept waiting for this to take off into a full-fledged dance song. Sadly, it never does, stalling uncomfortably and forcing us to return to our wallflower status. 4. Strawberry Bubblegum – With a Barry White-esque intro and hints of Roger & Zapp at the conclusion, it’s clear that this is your token baby-making jam of the album. While songs of this nature are typically slow by definition, this is mid tempo, backed by chirpy, suggestive synth beats. 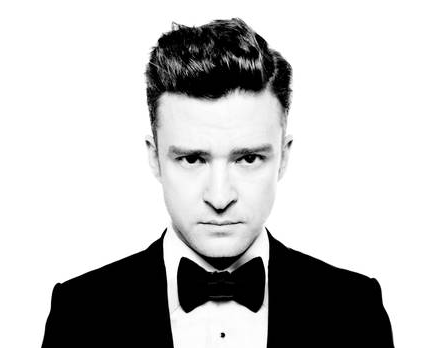 Which, at its core is the most true to JT- full of swagger and confidence. Pretty sure he’s not actually talking about bubblegum (or lollipops, for that matter), but that’s quite alright. 5. Tunnel Vision – Timbaland’s imprint is clear, not only because of his backing vocals but because of the recycled beats, circa 2006. Having said that, it works, but it’s only mediocre. It sounds like a track that was left on the cutting room floor of a “FutureSex/Love Sounds” recording session – only to be resurrected here. 6. Spaceship Coupe – Hop into my spaceship coupe! Let’s make love on the moon! (Save yourself the 4 minutes). Subtle Stylistics sampling can’t even save this one. 7. That Girl – A soulful head-bobbing, toe-tapping throwback jam with horns courtesy of The Tennessee Kids (Justin’s new backing band). 9. Mirrors – More regurgitated Timbaland beats served up via a self-realization love letter to Jessica Biel. I think. 10. Blue Ocean Floor – Though masked by sounds that suggest cycling through an old-fashioned slideshow projector, this is a delicate and pretty song that showcases Justin’s voice. It shows the most creativity and originality, even if I could have done without the muffled sea sounds. Where his first two albums were more pop-centric, this is firmly rooted in soul and R&B. I respect that effort but I think it’s clear that Justin Timberlake, the musician, has seen his relevancy eclipsed by the likes of Bruno Mars, Miguel, and even Justin Bieber. And he definitely needs to learn one word if he keeps releasing music: simplify.